Your job is to use your bot to rescue another down and in distress robot. 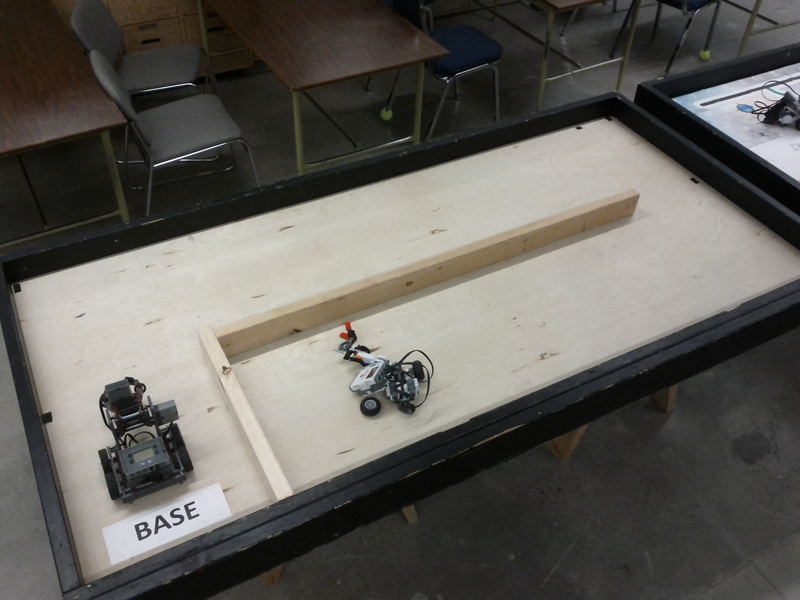 You start with your robot at the base; you have 90 seconds to navigate to the down bot and pick up all its pieces and bring it back to the base. You cannot move any of the wood divider pieces and or climb over them. You cannot move the down bot over any of the dividers either. The actual field setup may be different during the day of the event. The field setup may also change throughout the event.